Today is the birthday of Franz Falk (August 9, 1823-August 5, 1882), though some accounts give August 9, and I’ve also seen both 1823 and 1825 given as the year, so it’s safe to say there’s no consensus about his actual birth date. What is more agreed upon is that he was born in Miltenberg, Germany, part of Bavaria. Although not completely, as one source says he was born in Munich (München), Münchener Stadtkreis. 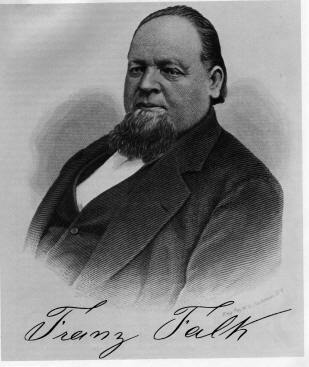 Falk became a master brewer when he was just 24, in 1848, and the same year emigrated to the U.S., working first in Cincinnati, working at various breweries, before settling permanently in Milwaukee, Wisconsin. In 1856, he founded the Bavarian Brewery in Milwaukee, Wisconsin, but changed the name to the Franz Falk Brewing Co. when he incorporated in 1882. In 1889, it became known as the Falk, Jung & Borchert Brewing Co. but closed three years later, in 1892. In 1848, at the age of 25, Franz Falk decided to leave his home in Bavaria, a state in southern Germany, and immigrate to the United States of America. Franz first traveled to Cincinnati, Ohio, but soon moved to Milwaukee. Franz felt very much at home in Milwaukee because approximately 35% of the people living there in the mid to late 1800’s were also German. There were German churches, schools, and gymnasiums. Newspapers were printed in German and German operas were performed. The German immigrants in Milwaukee loved being able to speak the language of their mother country. They also honored other German traditions such as brewing beer. Franz and his friend Frederick Goes decided to start their own brewery. Milwaukee was a great place to make and sell beer so Franz and Frederick set a challenging goal; to become the largest brewery in Milwaukee. The friends purchased land in the Menomonee Valley and named their business the Bavaria Brewery. Franz and Frederick had numerous competitors because many other German brewers had also settled in Milwaukee. 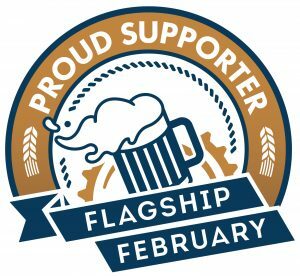 Those other brewers included Valentine Blatz who developed the Blatz Brewery; Joseph Schlitz, who created the Schlitz Brewery and adopted the slogan, “Schlitz: The Beer that Made Milwaukee Famous”; and, Captain Frederick Pabst, who married the daughter of another successful brewer, Philip Best. Pabst beer won a blue ribbon in the 1870’s and so they called their beer Pabst Blue Ribbon. Another brewer, Frederick Miller, founded the Miller Brewing Company. Miller products are still produced in Milwaukee by the MillerCoors Company. At one time in the mid 1800’s, there were over 20 breweries in Milwaukee, most of them owned by the Germans. There were so many successful breweries that Milwaukee became known as the “beer capitol of the world”. Even though Franz Falk had a lot of competition, he was a hard worker and the Bavaria Brewery eventually became the fourth largest brewery in Milwaukee. Franz died in 1882 and two of his seven sons, Louis and Frank, continued the family brewing tradition. But on July 4th, 1889, disaster struck! A fire destroyed part of the Bavaria Brewery. Beer spewed out, ankle deep, into the Menomonee Valley. Despite this fire, Louis and Frank did not give up. They rebuilt and reopened the brewery just three months after the fire. However, their dreams were dashed again when another fire devastated their business. This time the sons of Franz Falk did not rebuild. In 1893, they sold the Bavaria Brewery to Captain Frederick Pabst. As a result of this acquisition, the Pabst Brewery Company became not only the largest brewery in Milwaukee but also in the entire United States. The founding grandfather of the Falk Corporation was born in August 9,1823 in Miltenberg, Bavaria Germany. (Also the birthplace of August Krug and Val Blatz) Entrepreneurial drive was not the only skill Franz Falk brought with him to make his niche in the New World. 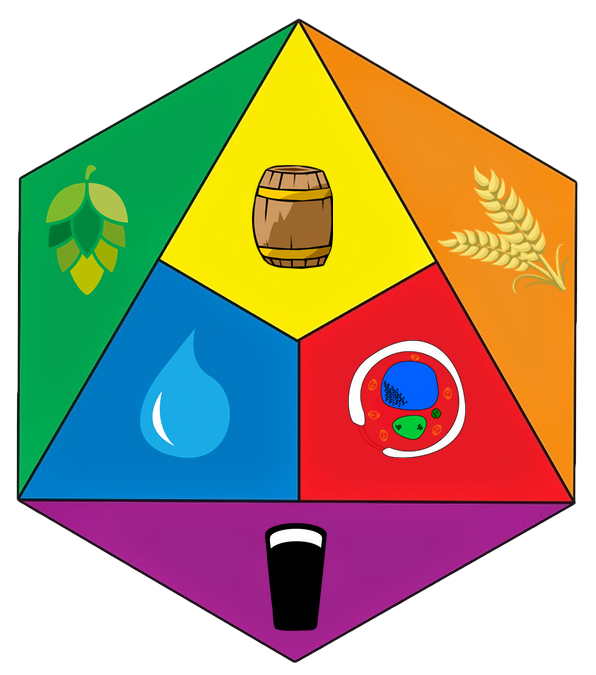 After 6 years spent mastering his father’s trade, coopering, Falk added the “art and mastery” of brewing while employed by a Miltenberg brewery. In 1848, Franz Falk decided to make a new life for himself in America. Falk departed for the United States, reaching New York in June 1848. In October of 1848, after three months in Cincinnati, Falk relocated again to Milwaukee. With one third of the population German, Milwaukee was a favorable environment for brewers. All of Milwaukee’s famous breweries- Pabst, Schlitz, Miller, and Blatz – were established in the 1840s. Franz Falk’s timing could not have be better to find a brewing position. In the Cream City he was soon employed as a general brewery workman by August Krug, who founded the brewery eventually operated by Joseph Schlitz. After approximately six months Falk moved on to the Menomonee Brewery, working with Charles T. Melms for a seven year career as the brewery foreman, or brewmaster. The 1857-1858 Milwaukee City directory lists Falk as the brewery foreman of Melms & Co. This time frame is approximately when Melms took full control of the former Menomonee brewery, Franz Falk was ready to set out on his own. In mid to late 1855 Frederick Goes and Franz Falk formed a partnership and began to build a malting and brewing enterprise. The brewery portion was called the Bavaria Brewery, no doubt Falk’s influence in the name. 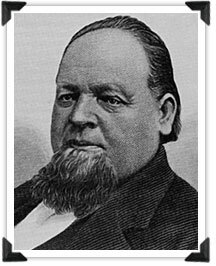 Goes was a successful dry goods businessman, the 1857-1858 Milwaukee City directory lists Goes as a variety store owner. If we read into the Goes & Falk name under which they did business, it’s possible that Goes may have supplied the venture capitol, or perhaps an important asset for the venture. The record indicates that in 1856 Frederick Goes assumed ownership of the Middlewood & Gibson malt-house (3), originally established in Milwaukee in 1849 as the Eagle Brewery. (Later operated as the Sands Spring Brewery.) Goes and Falk leveraged the malting operation with their new brewery venture. The first Goes & Falk enterprise was located on 8th and Chestnut, now Juneau and Highland. The address is near the Eagle brewery, and although the final relationship between the properties and owners is unclear, it is possible that assuming part of the former Eagle Brewery and malt house facilities launched Goes and Falk’s enterprise. In brewing history, 1856 was a year of turn over. Krug, Falk’s former employer also died in 1856 allowing Schlitz to step up. During Falk’s initial year, 1857, Goes & Falk employed five men and produced 1000 barrels. A rare 1863 Goes & Falk civil war token is one of the few breweriana references to the earliest years of the brewery and malt house. A known pre-pro glass is another, later breweriana reference illustrating the A. Gunther & Falk partnership, Gunther being the sole bottler of Falks Lager. The embossed emblem referencing Falk’s Milwaukee Lager, lager being the specialty brew of the Bavaria Brewery. “Falk” means “falcon” in German, and the embossed crest clearly shows a falcon perched on a letter G, presumably in reference to A. Gunther. 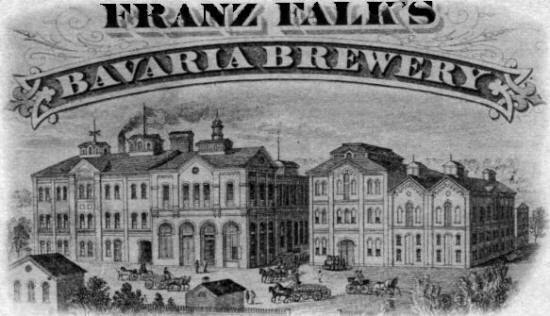 The Bavaria Brewery was conducted by the firm Goes & Falk until 1866 when Franz became the sole proprietor, buying out Goes and forming the Franz Falk & Company business name. When Franz Falk took the reins in 1866 the production had increased to 5468 barrels. In 1867 Falk also acquired a partial interest in Goes malting business, the business being successively conducted by Goes & Falk and then Franz Falk & Co. In 1870 the Goes sold his remaining malting interests to William Gerlach & Co. who eventually bought out Falk’s holdings at the original site in 1872. In 1870, Falk chose a new Menomonee Valley site just west of C.T. Melm’s for a more extensive, modern brewery. In 1872 the original Bavaria Brewing operation was closed and the Menomonee Valley operation was in high gear, dramatically increasing production nearly two fold. Falk built his own on-site malting house as part of the new Bavaria Brewery, one of the first owned and operated by a brewery, which allowed him to sell his previous malt holdings to Gerlach. 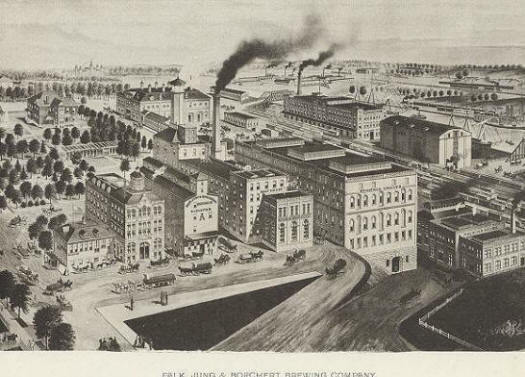 By 1872 Falk was the 4th largest Milwaukee brewery behind Best, Schlitz and Blatz. In 1880 the Bavaria brewery consisted of five brick and stone buildings, including the yards, outbuildings, and side track to the Milwaukee & St. Paul Railway. The site occupied about 5 acres, operating with eight icehouses and on-site malting production of approximately 100,000 bushels annually. Falk employed 100 men, twelve teams of horses and operated it’s own cooperage. In addition Falk owned their own rail cars for shipping beer. Older sons, Louis and Frank eventually joined the brewery and incorporation papers from 1881 show the Franz Falk Brewing Corporation, as a limited family partnership with Franz as President, Louis and Franz as the Vice President and Secretary Treasurer respectively. 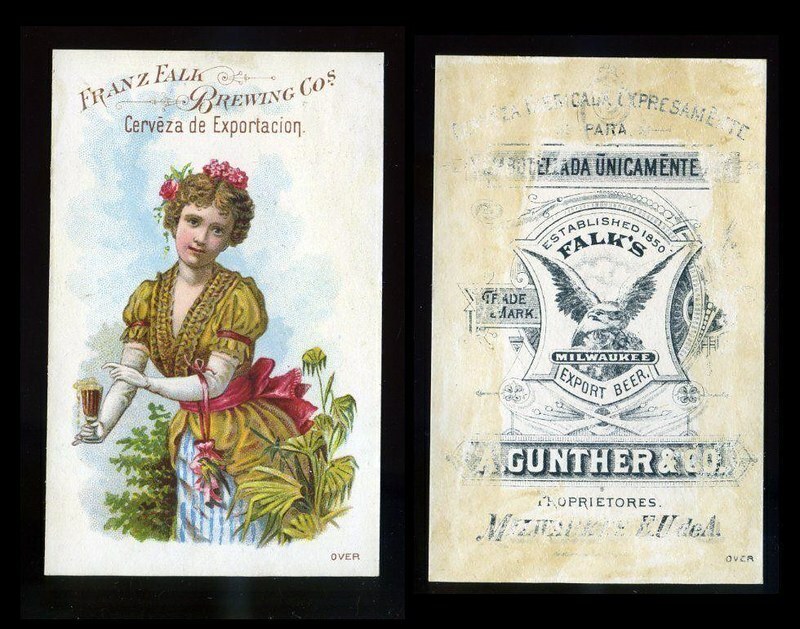 If one examines the Trade Cards of the Falk’s Milwaukee and Franz Falk Brewing Co. you notice the evolution of the company name as well as the colorful and more detailed illustrations which reflect the growing, prosperous company in its later years. 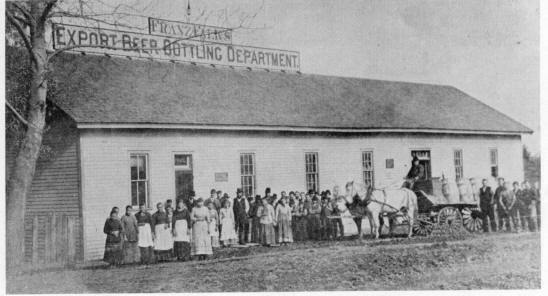 In 1877 Falk established one of Milwaukee’s first bottling facilities. Every bottle bore the Bavaria Brewery’s trademark: a falcon perched atop a mountain peak. Falk later out-sourced this activity to A.Gunther who became the only bottler of Falk’s Milwaukee Export Lager. 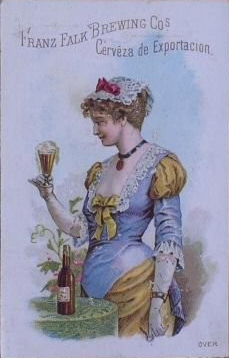 A look on the back side of the trade cards also shows the assumption of bottling duties by the A. Gunther company. The Gunther operated plant was located at 20 Grand Avenue, Wauwatosa and was in operation from approximately 1878-1884. 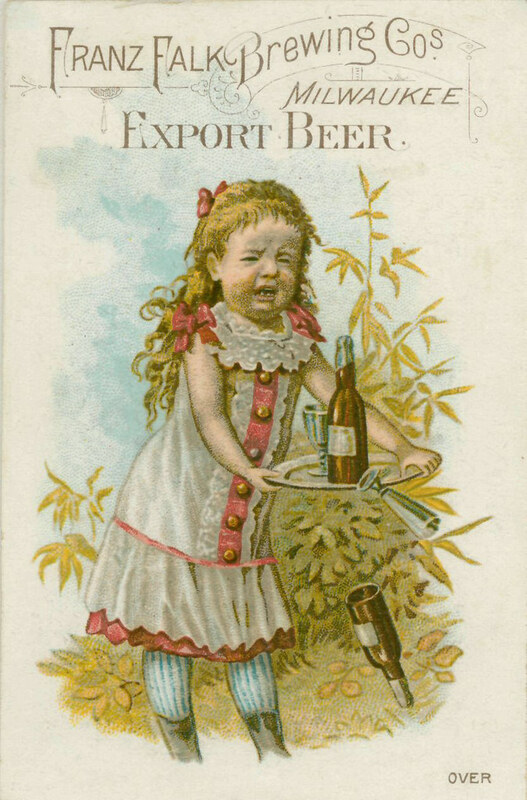 Falk’s Milwaukee Bottled Beer, and Milwaukee Export Lager trade cards indicate the early adoption of shipping bottled beer allowed Falk’s to expand their market to Chicago, Kansas City, Denver, Mexico, New Orleans, Pittsburg, San Francisco St. Louis, and more. With the main storage vaults only about 20 yards from the rail siding, Falk’s fleet of rail cars leveraged their strategic location near the Chicago, Milwaukee and St. Paul Railroad, also operating out of the Menomonee Valley. Warranted to keep in any climate, Falk’s Export Beer was an award winning premium beer. Falk won domestic and international awards, including medals from the San Francisco Mechanics Institute Exhibition of 1880 and the Advance Austrailia International exhibition. 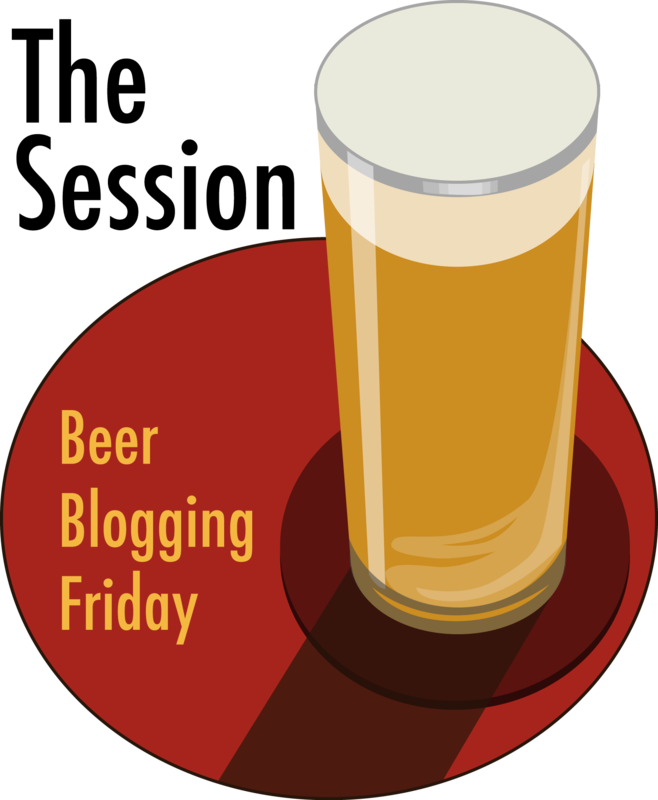 Over the years of operation the brewery’s output climbed quickly while other breweries which ignored the idea of a national market were left behind, or failed. On March 24th, 1882 Franz Falk opted to incorporate as the Franz Falk Brewing Company, proceeding with $400,000 of capital stock. Only a few months later, August of 1882, the death of their father Franz to a stroke required the elder brothers to take over the family business. After William Gerlach’s death in 1884 his estate would briefly run Gerlach’s malting business before Goes’ sons George W. and Fred E. Goes regained ownership the malt business in 1901. Frederick Goes died in 1894. By 1886 the Falk operation was consuming 200,000 bushels of barley, 160,00 bushels hops, and 25,000 tons of ice annually. The facilities had added a carpenter shop, machine shop, and shipped beer extensively throughout the Union, the East Indies, Sandwich Islands, Mexico and South America. 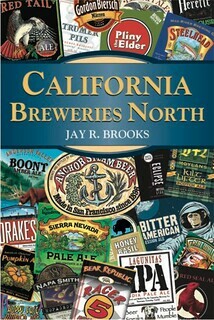 About 125 Falk agencies were in operation as of 1886 and roughly 25,000 barrels of beer where being bottled annually. The business also maintained an office in Milwaukee proper at the southwest corner of East Water and Mason, directly linked by telephone to the brewery. 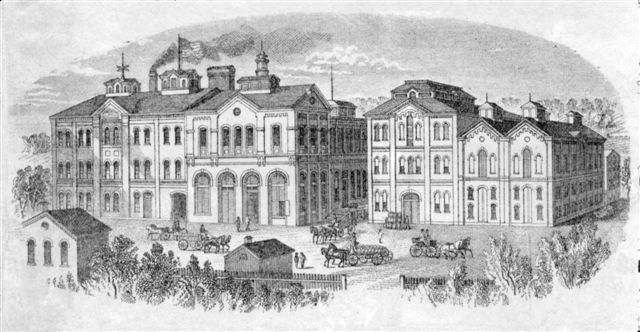 Falk’s beer held a reputation for purity and quality and their manner of conducting business was held in high regard. During the spring of 1886 the Milwaukee brewery workers and maltsters began to form the Local 7953 chapter of the Gambrinus Assembly of the Knights of Labor. The new union drafted a letter to the nine Milwaukee breweries demanding, among other things an eight hour work day, better pay and installation of the union in the breweries. Collectively the breweries, including Falk, penned a response proposing a 10 hour day, including over time pay after 10 hour, but lesser pay increases than requested. Additionally the brewers balked at the proposed union controlled hire of employees. By early May of 1886 most non-office brewery workers, except Falk’s, had walked out on strike idling all the major Milwaukee breweries. May 3, 1000 brewery workers marched to Falk convincing the workers it was their duty to strike, and they did, joining the others as well as the larger, city wide labor protests. By May 5 the Governor sent the State Militia to keep order over the growing protests, and they ended up firing on some protestors, killing six and wounding three. 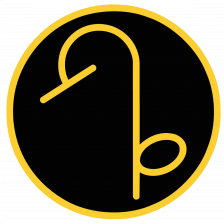 Collectively, the brewers then decided to concede on increases in pay, including an advance of 120 dollars per year for each worker. The advance sum of $162,000 was split among the brewers, based on their size. Falk’s share being $12,000. Thus we may confirm that Falk had just over 120 employees in 1886, including office executives. In 1888 sons Otto and Herman joined the brewery, Otto becoming the general manager and Herman the Superintendent and brewery mechanic. A mechanical genius since childhood, Herman’s mechanical prowess would lead the Falk name down its future path. November 1st, 1888 the Franz Falk Brewing Company Limited merged with the Jung and Borchert brewery operated by Philipp Jung (a former Pabst brewmaster) and Ernst Borchert (a local maltster’s son). Together they formed the Falk, Jung and Borchert Brewery Corporation in 1889. Frank Falk fulfilled the duties of President, Phillip Young the Vice President and Superintendent of Brewing, Ernst Borchert as Treasurer, Louis Falk as Secretary, Otto Falk as Assistant Secretary and Herman the Assistant Superintendent. The old Jung and Borchert brewery was converted to storage while all operations were consolidated into the Menomonee Valley location. After a large investment in new buildings and expansion up and down the hill, the new facilities were producing 120,000 barrels by 1888, with capability of 200,000 barrels. Closing in on Val Blatz’s position at third place in town seemed within reach when an extensive fire ravaged the brewery in July of 1889. Breaking out in the malt house, the fire consumed the bottling house and main brewery buildings. During the fire it was noted that Herman and Otto were seen rolling barrels out harms way to try and save some of their valued product. Holiday crowds at the neighboring beer gardens watched the blaze from the nearby bluffs. Ultimately only the stables and icehouse survived. Milwaukee’s Sentinel reported that the rebuild would include a new “fireproof” design and within a few months the brewery was back in operation. Franz Falk commented at the time that “we haven’t lost a single customer since the fire”. The new improved site stretched further into the Menomonee valley. Within a years time production swelled to 200,000 barrels. Unfortunately, in 1892 another unexpected fire occurred, starting again in the malt house due to a overheated motor. The malt house was destroyed as were a large portion of the brew house, grain elevator, and refrigeration house. Pledging to rebuild again, the partners purchased raw beer from Pabst to finish and supply their customers. Captain Pabst, seeing the opportunity for an acquisition offered to buy out the beleaguered partners holdings for $1 and approximately $500,000 in Pabst Stock, including positions for the top executives. The acquisition attributed as one of the main factors in the increase of Pabst’s 180,000 barrel increase in sales in 1893, pushing their output over 1 million barrels for the first time. Interestingly, Frank Falk’s duties from 1893 until his 1902 resignation from Pabst included Treasurer, management of Purchasing, Rents, City Bottled Beer Sales, General Finance, and Labor. The Falk family’s holdings of nearly 500 shares were purchased by semiannual payments of $11,500 from the time of Frank Falk’s retirement until 1910, plus a final lump-sum payment of $395,520 on January 1, 1911. Louis and Otto Falk both accepted positions with Pabst as did Ernst Borchert. Phillip Jung went into the malting business, however after the three-year period of abstention specified in the sale contract of 1892 Jung returned to brewing, purchasing the Oberman plant and reorganizing as the Jung Brewing Company. By 1910 Jung grew to 100,000 barrels, ranking fifth in Milwaukee, never quite achieving the same earlier success of Falk, Jung and Borchert. Herman Falk was not content with, or perhaps offered a position at Pabst and decided to start a new business. Striking out on his own, Herman rented a surplus wagon shop from Pabst to build wagon couplings. At first unsuccessful, despite patenting a new wagon brake, Herman eventually channeled his mechanical genius into the creation of a “foundry on wheels” to facilitate joining of trolley tracks with molten iron. Herman Falk’s inventive equipment eventually serviced over one third of the nations electric street railways. As entrepreneurial as his Father, it was his company that has now evolved into the Falk Corporation, which is still operating within sight of and includes a portion of the original Menomonee Valley Bavaria Brewery grounds.